The defrost cycle on a Frigidaire freezer is typically set or started with the thermostat that is controlled or set by an electronic or mechanical timer. 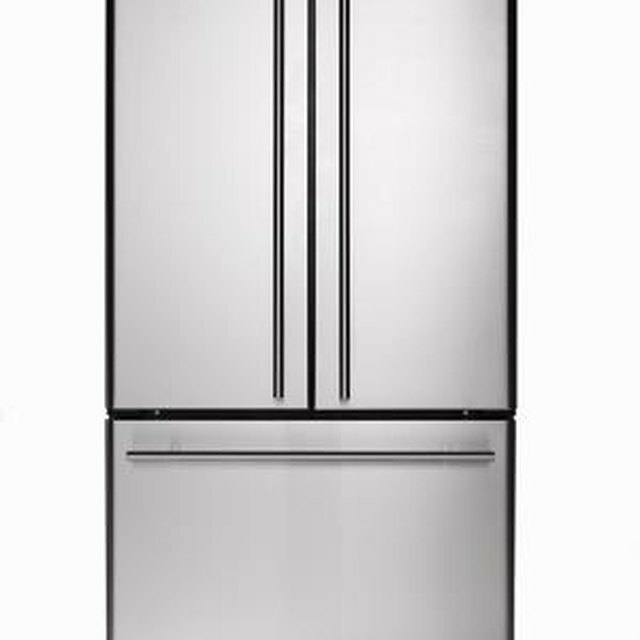 Newer Frigidaire refrigerator/freezers have a temperature control that you can use to manually force the defrost cycle or auto defrost mode. Fridigaire refrigerators/freezers can be forced into auto-defrost mode. Open the door to the refrigerator or freezer section, depending on the type of unit you have. Find the freezer control knob that is used to set the temperature for the freezer section. Set or turn the freezer control knob to "0" or zero. This will manually turn off the compressor and prevent the freezer from cooling. Find the "On/Off" button if you have a control panel on your Frigidaire freezer. Hold the button for three seconds to turn off the cooling system. Press and hold the "On/Off" button for an additional three seconds to turn the cooling system back on. Open the door to the freezer section or compartment. Find the timer for the thermostat and locate the advancing screw. Place the end of a flathead screwdriver into the head of the advancing screw. Turn the screw clockwise slowly until you hear a click sound. The click indicates that the timer has activated the defrost mode for the freezer. Do not forget to turn the cooling system back on or your everything in your freezer will melt.